The premise seems simple enough, however when revealed how it works, well, the only thing we can think of is black magic. 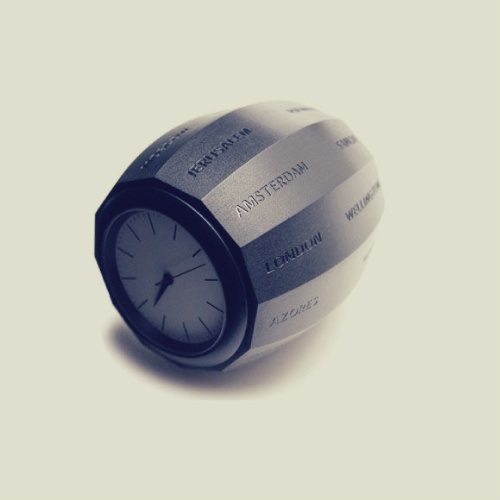 The barrel shape of the clock, imprinted with various world cities, is rolled until the desired city is at the top. The clock then adjusts itself accordingly. Epically cool, and pretty much a must have for any world traveller. You can see and learn more here.